David Hayes is highly motivated and experienced innovation leader. He is a founder, investor, global technology executive and leader in multiple technologies. He brings an astute eye as to how to be successful with innovation. Experience includes Technology Brokering in 43 countries and regions including Asia, Africa, Middle East, The Americas, Western and Eastern Europe. David has launched upwards of 120 technology and consumer-oriented products. Previous roles include Global Vice President of Corel, WordPerfect, CorelDraw, Linux OS, Paint, Marketing and Sales pedigree from Bristol Myers Squibb, Glaxo and Gravol. Experience includes CEO and COO at International Security, SnapClarity, Technology Brokers International. David is the founder of the following technology companies including Zivex, Ultrapreneur, TBI, OctaPoint, Japkin, International Security IS, DAJH-TECK, Green Water, eCoachHealth, Haggle Now, Prodigious Energy, and Shatter Tech. Over the years, David has helped generate $4.2 Billion in revenue with 125 client companies, specifically with software, Software as a Service (SaaS), selling companies and corporate divisions on the open market, launching innovative technologies and assisting in 26 company turnarounds/pivots. David resides in Ottawa, Canada with his dream family. He is involved in community events, charities, fundraising, philanthropy and political and community activism. Susan Anglin is a talented business executive and consultant who enjoys assisting small businesses to achieve their next level of greatness. Before turning to more entrepreneurial endeavours, Susan directed a large revenue portfolio with annual sales of over $500 Million at one of Canada’s largest corporations, Canada Post. 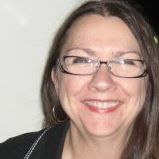 She has developed visionary solutions that were instrumental in sealing strong business relationships with Apple, FedEx, Purolator, Wal-Mart, Capital One and MBNA, and she’s managed brand and revenue portfolios for top brands including CorelDraw!, Corel MegaGALLERY, and Canada Post Parcels. Susan holds a BBA, an International MBA, and is a certified PMP (Project Management Professional). Susan lives in Ottawa, Canada, and in her free time enjoys exploring the beautiful wilderness that Canada has to offer. Gord is a seasoned software professional who has written the code, herded the cats, and most importantly shipped software. Gord headed up CorelDRAW! development back in its heyday and has held senior roles at various companies including Cognos, Watchfire, and InGenius Software. Armed with a BMath in Computer Science w/Statistics from the University of Waterloo, Gord is up for any challenge. He can otherwise be found at Ottawa RedBlacks games or nearby IndyCar races. Fred is a professional accountant and accomplished entrepreneur with over 30 years of hands on experience in a wide range of positions and industries from start-ups to multi- national and public companies. He started his career with Ernst & Young and spent over 15 years in public practice after which he held executive level positions at companies such as Noranda (Rio-Tinto) Group, Bowater (Abitibi) Group, Atradius Credit Insurance NV as well as the VP-Finance position at Pepsi Montreal (an operating unit of PepsiCo International). Fred co-founded two educational software companies between 1980 and 2000, served as interim CFO for a TSX listed technology firm and currently works with several companies as their interim or virtual CFO. His specialties include comprehensive CFO services, business transition consulting, strategic planning, cloud based financial and information systems, risk management, corporate financing and cash flow modelling. Margaret is a noted and respected financial coach with a background in business, financial and retirement planning as well as income tax planning. Peggy’s passion for sharing knowledge became a business helping people achieve their goals – both financial and personal. She works with business owners to increase their income and achieve their dreams. She is an entrepreneur having run several diverse businesses. She is past Executive Director of TiE Ottawa – a non-profit organization that fosters entrepreneurship through mentoring and education. 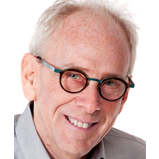 As a professional sales performance consultant, trainer and coach for over 25 years, Terry has dedicated himself to the growth and development of consultative sales people, sales managers and their results. Over half that time he lived and worked in Chicago running Holden Corporation, an international sales training company working with sales organizations at EDS, Bell Canada, IBM, XEROX, HP, Sprint, Unisys, Ernst & Young and others. Since the early 2000’s Terry has worked for companies and individuals who are serious about pushing the comfort zone taking their sales results beyond current limits. His diagnostic driven approach ensures that the revenue velocity plan for each client addresses the real, underlying and often hidden impediments to sales yield improvement. Terry lives in Ottawa and enjoys pushing his own comfort zone not only in business but also on the motorsports track at Circuit Mt. Tremblant, Canadian Tire Motorsport Park (Mosport) and as a high-performance driving instructor at Calabogie Motorsports Park.